I love fall. There is colder weather, leaves turning orange and maroon, college football, jeans, sweatshirts, tea, wind, and so much more. It is a sweet time to enjoy being outside and opening the windows in the house. After a very hot and very humid Tennessee summer, I am more than ready for fall. All this talk about fall leads me to think of fall decorations. 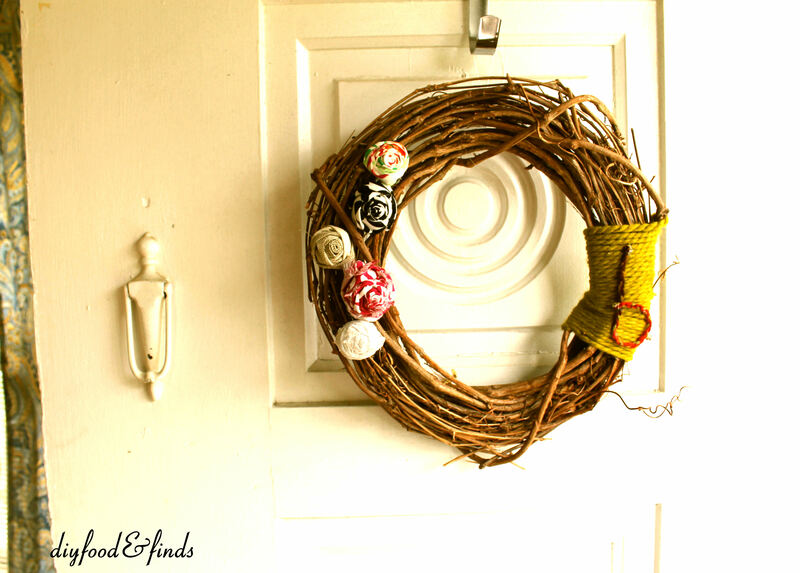 This weekend one of my projects was a fall wreath (even though it was over 80 degrees out side...). I was inspired by my friend's wreath I saw last week and I knew I had to make one. Here are few of the ones that I liked from Pintrest. You can find them here, here, here, & here. And then I just used my creativity!I think the yarn gives it a fall feel while the flowers give it some color and vibrancy like the leaves have this time of year. I love adding personalization too with the letter b. I made the "b" by braiding a different kind of yarn and then gluing it on top. That last white rose I made with lace, too! Its so pretty. 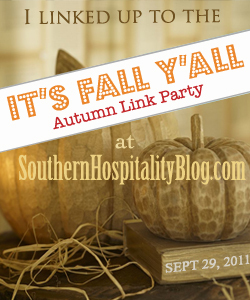 I am linking up to the It's Fall Y'all Party today. And I am entering this into the CSI Fall project of the week. 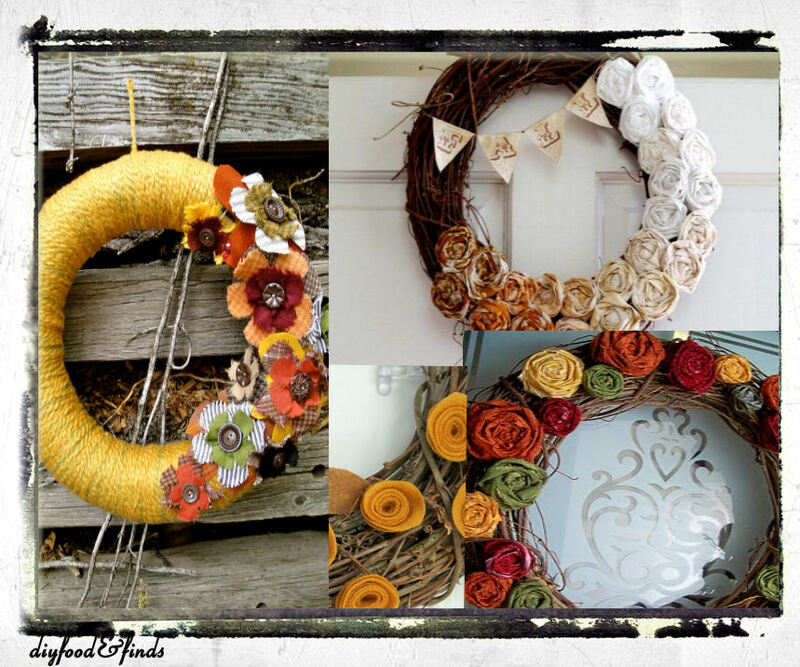 Mindy, I love your wreath!! It is so artsy - you did a great job! Your wreath looks great! I love the flowers - especially the lace one!